A pretty pastel hue brings to life the playfulness and feminine flair of these thread-wrapped drop earrings with a button stud and bead-accented hoop. These pretty earrings are part of an exclusive collection celebrating romance and femininity for every moment. 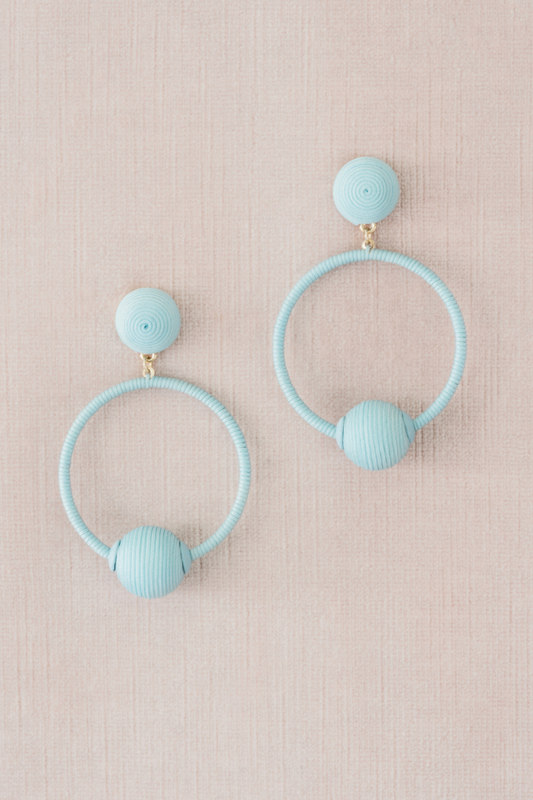 Such a fun twist on a hoop earring! Wear them with a tee and jeans for a more casual look, or a fun and flirty summer dress.